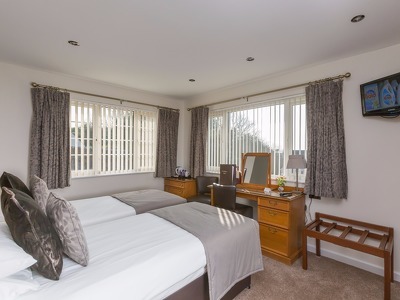 The 35 rooms are all en-suite and feature either bath, shower or walk-in wet room. Complimentary WiFi is available throughout the hotel and cots and highchairs are free of charge. Trouser press, hair-dryer, radio alarm and TV are standard in all of the rooms. 1 double bed, sleeping 2 people. Cosy rooms with en-suite bathrooms, some of which have walk-in wet rooms. Some have private balconies. Two single beds, sleeping 2 people. Cosy rooms with en-suite bathrooms, some of which have walk-in wet rooms. Some have private balconies. Ideal for business travellers or friends. 1 king-size bed or twins, sleeping 2 people. These rooms are spacious and have luxury en-suite bathrooms with bathrobes and slippers. There is a table with chairs and a DVD player. Stay for 7 nights and only pay for 6 on bookings made for stays during 2019. 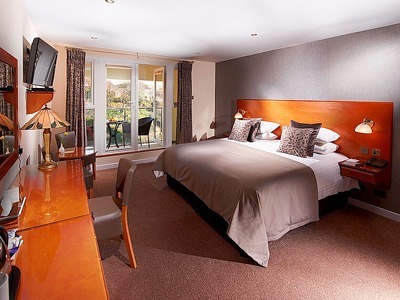 La Barbarie is a charming 35 room country house hotel in Guernsey, Channel Islands. The award-winning restaurant is the jewel in their crown, whilst filming his TV series Rick Stein stayed and said the lobster was the best he had ever tasted. With its temperate climate Guernsey is a lovely place to visit throughout the year and during the warmer months the pool at La Barbarie is heated and is the ideal spot for a lazy lunch. 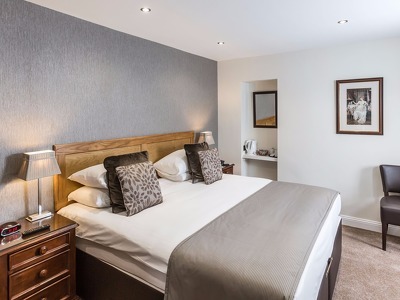 Situated close to one of Guernsey's prettiest bays in the Parish of St Martin, La Barbarie Hotel is in the perfect location for stunning cliff walks and exploring the secluded coves. At the end of the day retreat to the sitting room which is a cosy place to enjoy an evening drink with its open fireplace and farmhouse beams. Cosy and unstuffy La Barbarie Restaurant is a friendly place to enjoy exceptional food at an affordable price. Daily changing menus focus on seasonal and local products and are complemented by a well-balanced wine list. Breakfast starts at 7.30, ideal for early risers and bar lunches are served from midday. In the evenings there's a choice of either a four-course menu or a la carte menu. You can also book the half board option which includes the four-course menu which offers outstanding value in such a fantastic restaurant. We recommend you hire a car so you can explore the island during your stay. La Barbarie is only 10 minutes from the airport. Really great meal. Excellent attentive service. Superb food. Refurbished earlier this year. Nice modern decor. Unfortunately it was just a bit cool in the restaurant tonight. Excellent service, lovely food, friendly staff. Great place to have a relaxing break, rooms to a high standard, comfy. Secluded location. Fabulous superior room; everything you needed. Outdoor seating with our room and seats in the garden and around the pool. Delicious evening meals throughout our stay. Would love to stay again. I love the seafood at the Barbarie hotel. It has extremely nice food and the price is very reasonable. The service is great too! I recommend going there!